Dear CPAs, thinking of offshoring your key business processes? But worries about data security and professionalism keeping you restrained? Well, of course, this is a difficult choice to be made. Apart from the business service, you want to work with companies that offer data security, professional approach, trust, and ethics. But what if professionals with experience of more than 6 years with absolute ethics hold your hand and help you with all your operational tasks. Let us tell you how offshoring assists companies to enhance their performance by focusing on core competencies and by leaving the accounting and financials (tasks) to industry specialists. 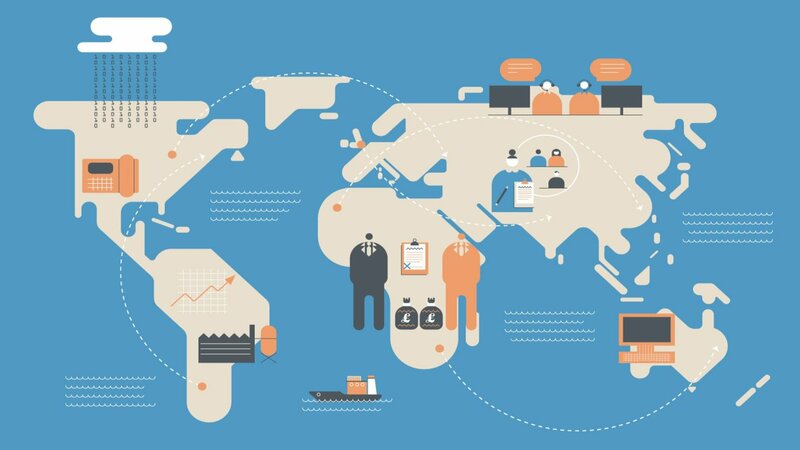 There is a remarkable difference between outsourcing and offshoring. Outsourcing is when you send your operational task to a third-party organization who work separately on your data and carry out the outsourced task/service. However, offshoring is different. It’s when you have your own resources work and report exclusively for you from a remote location. You also have full control over the entire process, right from the hiring process to the strategic planning and execution. Obtaining flexibility in resource allocation proves to the unique payback offered by this model. It helps you attain a lean operation by engaging dedicated and specialists for your critical tasks. You can manage holidays and peak business seasons by prudently identifying your specialist partner at the time and cost that you can afford. Our highly qualified and trained CAs with a proven track record are available for sharing your key tasks. We offer professional services to several organizations ranging from small to medium size firms. Our professionals are highly experienced and help you accomplish your tasks with updated knowledge in the relative field and the industry best practices for delivery of services. Firms offering accounting services take utmost care by always being ahead in the dynamic regulatory environment, wherein several political and economic forces affect the changes in taxes and financial legislation. We, at TWO DOTS, work on the legislative complexities staying updated with the standards and norms of IRS and US GAAP. Outsourcing your accounting processes helps you save on your costs and elevate your profit margins. Specialist firms work with you to deliver best results to you from a geographical location where the costs are minimal and trained skilled expertise is available to manage all of your critical business processes. Accounting outsourcing lets you focus on high priority tasks that help you earn higher revenues for your organization. The time saved by outsourcing can be utilized to build new portfolios and strengthening the relationships with customers. Moreover, critical functions like compliance with taxes, legislation, training of key personnel, hiring specialists on higher costs are already taken by us at TWO DOTS.